It should come as no surprise to anyone who has even a basic understanding of Atlantic Canada that topics that we now think of as environmental history have long permeated the study of the region. With an Indigenous presence since time immemorial, and as one of the first areas in North America colonized by Europeans, Atlantic Canada has a deep and rich history of humans interacting with local environments. We see this reflected in early scholarship that focussed on the region’s political economy and resource exploitation, and again in works produced since the broadening of academic fields in the second half of the 20th century to include such categories as race and ethnicity, gender, and class. 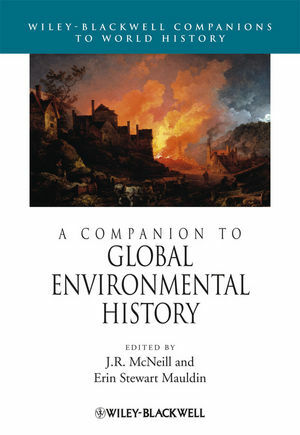 A purchasable example of some of the excellent environmental history scholarship being written about the Atlantic Region. 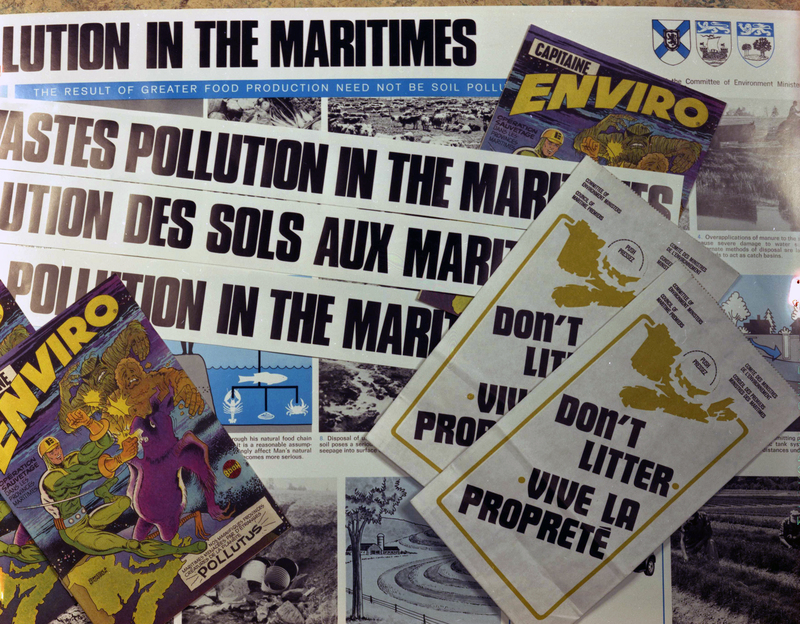 In keeping with this trend, environmental history topics also abound among the papers scheduled to be presented at the upcoming Atlantic Canada Studies conference, taking place at Mount Allison University from 5-7 May, 2016. Indeed, the intention behind this post is to provide readers with a general breakdown of the environmental history themes and papers present in the conference programme (see the full programme here). It should be noted that all judgements regarding whether or not a particular paper fits within a certain theme, or even whether it can be considered to contain elements of environmental history, are my own, based on the limited information available in the programme, and do not reflect the views of the presenters. Accordingly, I’ve divided the papers into four broad, sometimes interrelated themes: Indigenous peoples, industrialization and economic development, shifting spaces and landscapes, and identities. 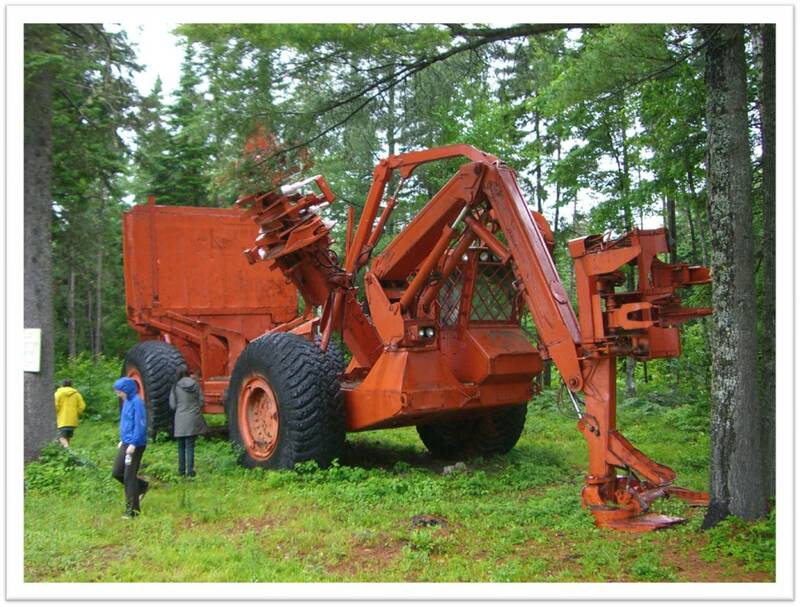 Industrialization and economic development has been a common theme within Atlantic Canada Studies since the field’s earliest days, and will definitely be well represented at the conference in early May. Gregory Kennedy and Amelie Montour and Ronald Rudin will be giving papers on the same panel on the morning of 6 May, respectively titled “Shifting Patterns in Response to Environmental Change and Industrialization: Landscape and the Adaptation of the Household Economy in Cocagne, 1871-1921” and “Dam Projects: Local Knowledge and Landscape in the Post­War Maritime Marshlands.” On the afternoon of that same day, there’ll be two panels on Cape Breton and Nova Scotia: “Perspectives on Cape Breton and Nova Scotian Development” (Don Nerbas, Courtney Mrazek, and B.A. Balcom) and “Cape Breton’s Labour History” (David Frank, Claudine Bonner, and Kristoffer Archibald). Aaron Clarke and Lindsay Golding will be presenting late in the day on 6 May, on “Mills and their Importance to Community Infrastructure in 19th-Century New Brunswick.” Finally, Andy Parnaby will be presenting on “‘The counterfeit principles of a free enterprise system’: The Antigonish Movement and the Sydney Steel Crisis of 1967” on the afternoon of 7 May. It is exciting to see so many fascinating papers, on a wide variety of topics, in the programme of the upcoming Atlantic Canada Studies conference. It is my hope that this thematic guide will help conference goers locate those papers that are most likely to contain elements of environmental history. Good luck, and happy conferencing. As I’ve mentioned many times before, I’ll be starting a tenure-track position at the University of Maine in January 2016. My partner and I have been spending much of this fall preparing for our move to the United States, and one of our main chores has been to search for a moving company. This will be our second major move in less than a year and a half, so we’ve learned a lot about moving companies and their practices in a fairly short period of time. In this post, I’d like to share some of what we have learned, with the hope that others can benefit from our experiences. Some of you might at first think it odd that I’m discussing moving companies on what has, so far, been mainly an academically-focused blog. But many of you know, as I do, that choosing the path of academia means that you’re likely going to have to move around a lot. Most people complete their degrees at two or three different institutions, and then there’s the joy of moving often for postdocs and limited-term appointments as you wait for the elusive tenure-track position. In our household, we’re fortunate that we’ll only have to move twice. I know many others who’ve had to move what seems like an obscene number of times, sometimes across entire continents. And of course, not everyone decides to go the route of a tenure-track position. Whatever the case, the tips offered here really apply to just about anyone who’s searching for a moving company. First off, take stock of your situation. How much stuff is going to be moved? Where are you moving to? How far away is it? Are there special considerations that must be taken into account regarding your end destination? These sorts of questions can shorten the list of potential moving companies. For example, some companies are only outfitted to do local or regional moves, so you probably don’t need to call them if you’re heading to the other side of the country. In our case, we’re moving to the United States, so we wanted to find a company that could help guide us through the convoluted process of importing household goods across the border. The next step is to do a bit of research. Look in the phone book under “moving” and see which companies are listed. Type the name of your community along with “moving companies” into an Internet search engine and see what comes up. Ask your friends and neighbours about local moving companies that they’ve heard good things about. Indeed, the company that my partner and I ended up choosing for our current move came well recommended from folks at my curling club. One thing to keep in mind is that bigger doesn’t always equal better. In our experience, quotes from the national moving companies are often hundreds of dollars more expensive than their locally-based competitors. Once you have the names and numbers of a few potential moving companies, it’s time to give them a call. This initial call usually doesn’t take very long. Basically, the company will ask where you’re moving to, the size of the place in which you currently live, and date ranges for the move, and then proceed to set up an appointment for when an assessor can come to your place to see how much stuff you have in order to calculate an accurate quote. DO NOT go with a moving company that doesn’t offer to come and do a free assessment. As one industry person explained it to me, such assessments are now pretty much standard practice, but there are less reputable companies out there that still don’t do them. Back at the curling club, one gentleman told me about how he and his family recently moved from Sudbury, Ontario to Peterborough. He mistakenly didn’t get an assessment done and simply informed the moving company over the phone that they lived in a two-bedroom bungalow. Once all of their stuff was loaded on the truck and weighed, the moving company then informed him that it was going to cost two and half times more than what they originally quoted him. In the end, he had to pay the full amount in order to get their stuff delivered. The point here is to make sure you have an assessor walk through your place. Generally, I’ll call and make appointments to have three or four walk through over the period of a couple of days. Now we’re at the part when the assessor comes to visit. The first thing they’ll likely want to do is sit down to talk about the move, both to give you information and to get information from you. Next, the assessor will want to walk through your place and see how much stuff you have. Be sure to show them everything in every nook and cranny. The more they see and write down or input into their tablet, the more realistic the quote will be. Also, differentiate between things that will definitely be moved and those that are staying behind for whatever reason. After the walk through, you’ll most likely sit back down and chat about how the quote process will proceed. Don’t be surprised if it takes a day or two before the final quote is ready. 10% guarantee: Many companies have guarantees that the final price of your move will not be more than 10% above of what you are quoted. This could end up saving you a lot of money (see the story above about the guy who moved from Sudbury), so verify with the company whether or not they have such a guarantee in place. 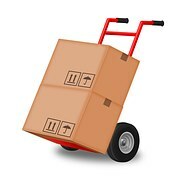 Range of quotes: Ask for a range of quotes, including with a full pack, just a fragile pack, or if you do all of the packing. You might discover that it’s not much more to get your stuff fully or partially packed. Insurance: What’s the company’s policy on insuring items? How much does it cost to get everything insured? Packing materials: Some companies charge for packing materials, while others do not. If you search around, you can likely find a good company that’ll provide free packing materials. Storage: If something comes up, you might need to store all of your stuff for a while. Ask if they charge for storage. As with packing materials, you might be able to find a company that has free storage for up to a certain period of time. Delivery date: When does the company think that your stuff will be delivered? How long will it take? Is there any sort of guarantee that it’ll be at the end destination by a certain date? After the assessments, the quotes from the various companies will come rolling in. It’ll be tempting to simply go with the cheapest price, but you’ll also want to weigh the answers you received to all of your questions. It is often the case that paying a bit more to receive a few more services works out better in the long run. Then once you’ve decided on a company, don’t hesitate to contact them with any concerns or questions you might have. You’ll likely be assigned someone who will act as your point person with the company. It’s their job to make sure your move goes as smoothly as possible. You’ve paid for the service, so use it to the fullest. That’s about all of the wisdom that I can pass on regarding the search for a moving company. Do your research, ask your questions, and make your choice. I hope it all goes well. Good luck. Note – this post first appeared on the Network in Canadian History and Environment’s blog the Otter on Wednesday, November 4, 2015. To view the original post, click here. The international union logo for the United Brotherhood of Carpenters and Joiners of America. 1. Miriam Wright, A Fishery for Modern Times: The State and the Industrialization of the Newfoundland Fishery, 1934-1968 (Don Mills, ON: Oxford University Press, 2001), 3 and Tina Loo, “People in the Way: Modernity, Environment, and Society on the Arrow Lakes,” BC Studies, no. 142/143 (Summer/Autumn 2004): 196. 2. L’Évangeline (Moncton), 14 September 1955. 3. The Daily Gleaner (Fredericton), 7 and 8 July 1978, Telegraph-Journal (Saint John), 7 and 8 July 1978, and The Globe and Mail (Toronto), 7 July 1978. Over the last few weeks, I’ve been constructing courses for my upcoming position at the University of Maine. 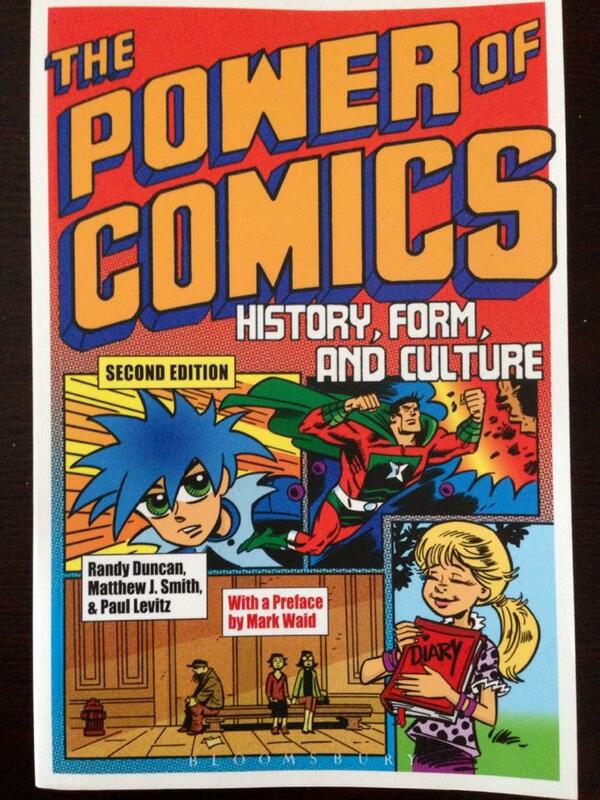 My last blog post detailed how I recently created a course called “History and Comics,” where I use comics studies and the comics medium to introduce students to various topics and themes commonly encountered in the discipline of history. Since then, I’ve put together a fourth-year global environmental history course, and while it is still only broadly sketched out, due to the fact that it’ll shortly be going up for approval with the university’s undergraduate curriculum committee, I’d like to offer what I’ve come up with so far. As I was writing the syllabus, I had two larger goals in mind. The first was that I wanted to ensure that students were thoroughly introduced to the subfield of global environmental history, but at the same time not overwhelm them with the history of everything. 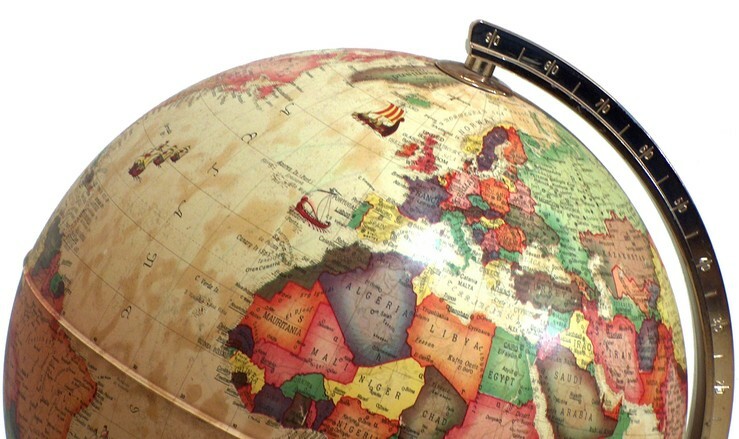 Seeing as how the globe is a pretty big place, I think the temptation is there to try to cover too much historical material. My solution was to limit the course to seven major environmental history themes: Migrations, Agriculture and Settlement, Forests and Forestry, Water and Waterways, Biological Exchanges, Urbanization and Industrialization, and the Anthropocene. For each theme, there will be four lectures that will, to quote from the syllabus, “follow a rough chronology and compare and contrast how environmental historical processes unfolded in different parts of the globe to provide students with a general understanding of each particular theme.” At the end of the two weeks dedicated to a particular theme, there will be a discussion meeting based on associated readings. Some of you are likely already making mental lists of all of the themes that I could have included in the course but didn’t. Believe me, I spent a number of hours staring at the wall and contemplating what should be included. It seems that for every part that you put into a course there are something like ten parts that you have to leave out. Since it’s a fourth-year course, I decided that it was important to prioritize in-depth examinations of subject matter, rather than more shallow explorations of a lot of material. Besides, I deliberately chose the themes so that a wide range of periods, places, peoples, and non-human nature can be included. The second goal I had in mind was to move away from the usual major research paper. Trying to engage students through non-traditional means has been an interest of mine for a while. Not only is this evidenced by the “History and Comics” course, but in 2012 I wrote a blog post for the Network in Canadian History and Environment, in which I described some of the non-traditional methods I incorporated into a Canadian environmental history course at the University of New Brunswick. As with “History and Comics,” if approved “Global Environmental History” will be offered in the 2016-2017 academic year. I’m going to use the interim to reflect on and continue to improve the general course framework already established. For those who are interested, see below for a PDF version of the course syllabus. As usual, suggestions and ideas are more than welcome. In the lead-up to my PhD defence in November 2013, one the main worries that I had floating around in my head was how to structure the oral presentation. I asked various friends, colleagues, and mentors for advice, which they gladly provided, and I conducted Internet searches for any sort of list of best practices. Much of what I encountered online was geared towards the physical sciences, and as an historian, only some of what I found was beneficial to me. A few minutes ago, I saw a request for help on Twitter that reminded me of my pre-defence experience: “HELP: how do i structure my thesis defense? im looking online for tips but coming up short because everything is science-centric.” Suddenly, this call for help flipped a switch in my mind. I recalled that of the 40-50 people who were at my PhD defence, several came up to me afterward and stated that they really liked how I had structured my oral presentation. A few of them even wanted a copy of my presentation, which I was more than happy to pass along. With that in mind, and since tips and advice meant for those studying the humanities and social sciences can be hard to find online, I’m providing here a few pointers that I found especially helpful. Please note that my area of study is history, so some of what I describe in this post might not be useful in your situation. As individual experiences can vary widely, use at your own discretion. For example, much of what I’m relating here will likely apply more to North American graduate programs than those located elsewhere in the world. First point: breathe. When you initially sit down to work on the oral presentation, it can seem like a large and nebulous task. However, keep in mind that you’re at the end of a very big and very difficult project, your degree/thesis, and what you’re about to face is just the last step. I’ve always found the best way to tackle any large project is to break it down into a series of smaller jobs or tasks. That way, I can quantify what I need to do, plus it makes the whole endeavour come across as manageable, which you might need to remind yourself during panicky moments. Besides, who doesn’t like crossing tasks off a list? My next pointer is to get advice from as many sources as possible. Don’t just rely on this post. As stated above, I talked to friends, colleagues, and mentors. You might even be able to get presentations to use as templates from a couple of them. There’s also your supervisor, who should have some advice for you. Moreover, search online, use resources available through your university, hit up the library, etc. Like anything, the best decisions are usually the well-informed ones. Next, be sure to follow your graduate school’s presentation guidelines, if they exist. If you’re supposed to keep your oral presentation to a maximum of 15-20 minutes, then do that. Don’t go over the time limit. In fact, respect your audience and never go over the time limit, whether you’re presenting at conferences, teaching a class, etc. Also, if your grad school has guidelines as to how the presentation should be structured, follow them and not necessarily what I’m outlining here. When giving the actual presentation at the defence, put your best self forward. Remember, you’ve worked really hard for a long time to get to this point, so don’t tarnish it with a weak presentation performance. I know that not everyone is comfortable speaking in public, but do your best. It’s better to be a little overdressed than underdressed, meaning wear more formal clothes if you have them and maybe not jeans and a t-shirt. Speak slowly, enunciate well, and don’t get too jargon-y. My mother always told me that if you’re reading something aloud to an audience and it feels like you’re going too slow, then you’re probably going at a proper pace. 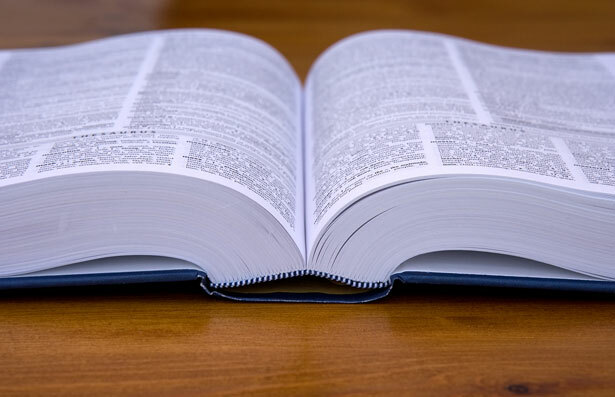 In history, it’s commonplace for people to read from a script, much to the chagrin of some. If it’s more commonplace in your field to not read from a script, be sure to practice a lot beforehand. Even if you’re going to read from a script, practice reading it in front of family, friends, colleagues, etc., if they’re willing. Finally, the structure of the presentation. Once again, I’d like to reiterate that my approach seems to have worked well for historians, although it might not be the best fit for your field. I’m going to describe the basic outline below, but you can find a PDF copy of my presentation at the end of this post. To begin, I thanked everyone on my PhD committee, then those who were in attendance at my oral defence. I then proceeded to outline how my presentation would unfold, so that folks had a basic idea of what I would be talking about that afternoon. The next section was an explanation of how I became interested in environmental history generally and my dissertation specifically. This part of the presentation was popular with the audience. Indeed, my off-campus external wished that I had left in some details that I had taken out about growing up on a small family farm in northwestern New Brunswick. The section on how I became interested in my dissertation segued into what I termed “insights gained from my research.” Basically, this is where I laid out my research methods, some of the questions that came to me while I conducted the research, and my “aha” moment, that is, what my dissertation was going to explore. Once all of that had been established, I then moved on to my historiographical and theoretical considerations. This is where I discussed my theoretical approach and how what I had written fit in the larger body of scholarship. The next part of my presentation was a breakdown of the various chapters and findings. You should keep in mind that the committee has already read your thesis, so you just need to provide a nice summary of what you found, not a complete rehashing. People in the audience who haven’t yet read your thesis, or who won’t read it, will also appreciate a brief summary of your findings. In the final section, I highlighted what I considered to be “three important and interconnected conclusions.” This is where I tried to draw some larger lessons from my study. Admittedly, they weren’t perhaps the strongest, but that’s what the book is for. That’s about all I have to offer. I hope you find some of these tips helpful. One last pointer: remember, you are the expert. At your defence, you’ll know the topic better than anyone else in the room. Take the time to think about the questions and answer them confidently. Good luck and enjoy the experience. If you have any more helpful tips, please leave them in the comments section below.